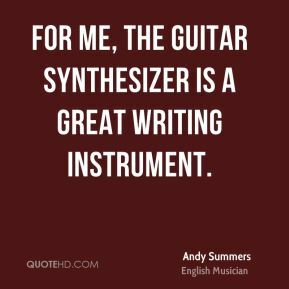 For me, the guitar synthesizer is a great writing instrument. 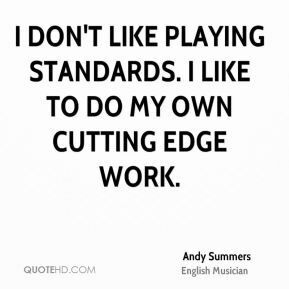 I don't like playing standards. 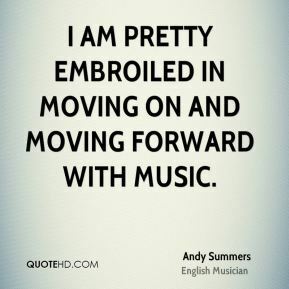 I like to do my own cutting edge work. 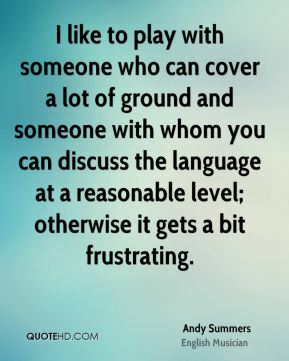 I like to play with someone who can cover a lot of ground and someone with whom you can discuss the language at a reasonable level; otherwise it gets a bit frustrating. 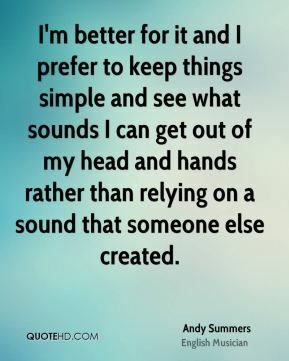 I'm better for it and I prefer to keep things simple and see what sounds I can get out of my head and hands rather than relying on a sound that someone else created. 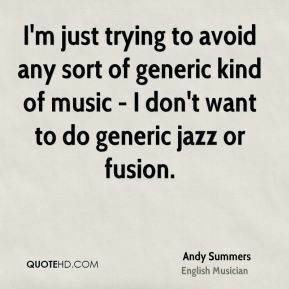 I'm just trying to avoid any sort of generic kind of music - I don't want to do generic jazz or fusion. 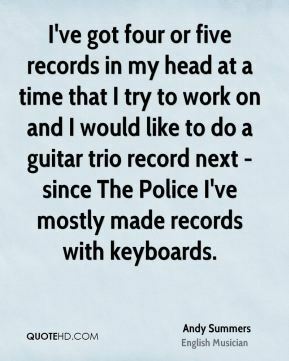 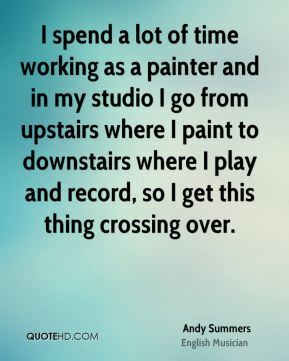 I've got four or five records in my head at a time that I try to work on and I would like to do a guitar trio record next - since The Police I've mostly made records with keyboards. 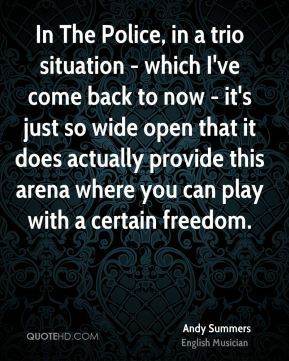 In The Police, in a trio situation - which I've come back to now - it's just so wide open that it does actually provide this arena where you can play with a certain freedom. 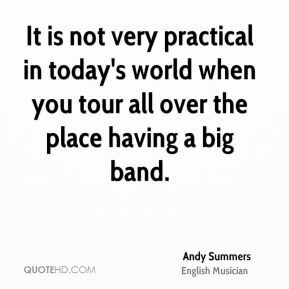 It is not very practical in today's world when you tour all over the place having a big band. 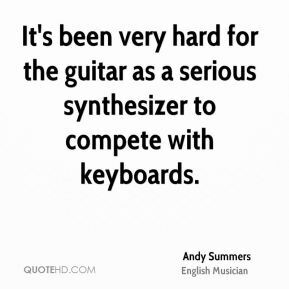 It's been very hard for the guitar as a serious synthesizer to compete with keyboards. 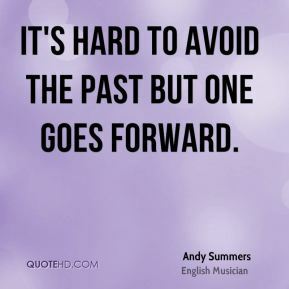 It's hard to avoid the past but one goes forward. 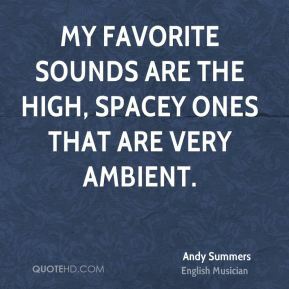 My favorite sounds are the high, spacey ones that are very ambient. 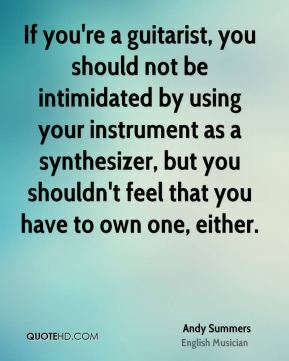 What I wanted to do was play the guitar but I don't like instrumental rock. 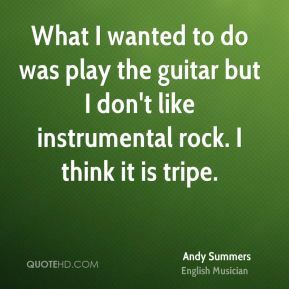 I think it is tripe.